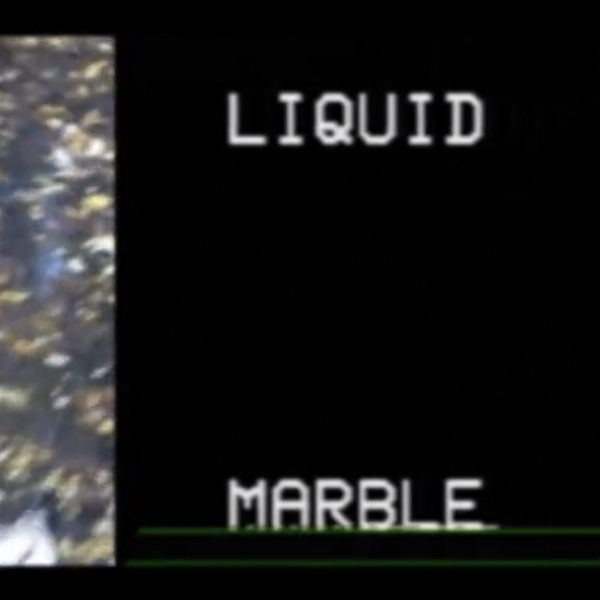 “Liquid Marble is a visual collection of public fountains and urban decay paired with synthetic sounds. It is an assemblage of unrelated sonic and visual events that work together as an exercise in the free decontextualization of the original narratives. This work also explores the possibilities of an audio-visual language without a strict synchronicity between what is seen and what is heard. It favors the idea of having parallel events of audio and imagery without an apparent connection. In most cases, the original outdoor sound has been removed and replaced by electronic tones that had been generated in a studio. Produced by anòmia and developed in collaboration with Canada. L.M. is a piece that started as a single VHS release but has since mutated into an audio-visual performance and installation.